Join the Movement to End Brain Tumours! Unable to attend one of our Brain Tumour Walks… Create Your Own! A DIY Walk is just like a regular Brain Tumour Walk but can be done anywhere at any time, by anyone. Build a Team! Ask your friends and family to join you and get your community involved. Want some Brain Tumour Walk swag at your DIY Walk? E-mail the Help Desk with your DIY Walk date and we’ll send your team a DIY Walk Kit up to 3 weeks prior to your DIY Walk! 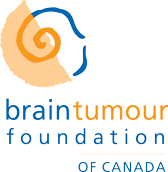 Follow the Brain Tumour of Canada Facebook page for pictures and updates!